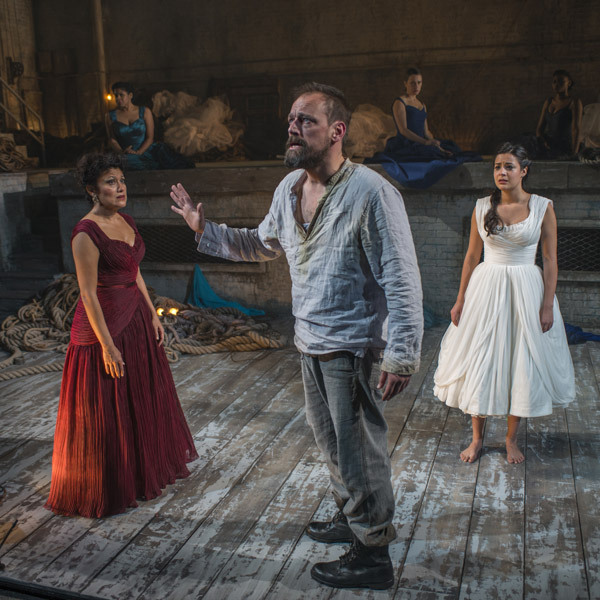 Inspired by the incredible success of An Iliad, Artistic Director Charles Newell takes on Euripides’s ancient tale of power and sacrifice in Iphigenia in Aulis. As the Greek army restlessly paces the silent shores of Aulis, King Agamemnon is faced with a harrowing decision. In return for the winds that would carry his army to victory over Troy, the goddess Artemis has demanded the impossible: the sacrifice of the King’s own daughter, Iphigenia. In a translation by Court’s Founding Artistic Director Nicholas Rudall, Iphigenia in Aulis is the first installment in a three-year cycle of Greek plays, followed by Aeschylus’s Agamemnon and Sophocles’s Electra. This production will be revived at The Getty Villa in California in September 2017. Production photography by Michael Brosilow.